Four Texas deputies who shot and killed a woman suspected of stealing a car and a 6-year-old boy who was nearby will not face charges, a Bexar County grand jury decided earlier this week. The deputies started shooting, releasing a hail of gunfire that killed Jones. A stray bullet that pierced through the wall of the trailer and also struck first-grader Kameron Prescott, who had been home from school on winter break, along with two relatives, according to the San Antonio News-Express. The boy was pronounced dead at the hospital. At the time, officers claimed they were unaware the boy was nearby and said they believed Jones was armed. No weapon was ever found. Bexar County Sheriff Javier Salazar told KSAT that officers mistook for a firearm an 8-inch pipe that was recovered at the scene. Salazar said during a press conference that the incident was “a tragic accident.” There was no apparent relationship between Jones and the Prescott family. “I can definitively tell you that myself and all the deputies involved, there’s not a single one us of that wouldn’t trade places with this child,” he said. Following the shooting, the officers were placed on administrative leave but returned to work in June 2018. The boy’s mother, Rubi Prescott, told a local news channel that she was “livid” she hadn’t been notified. The case propelled Bexar County into national headlines and reinvigorated an ongoing debate about law enforcement and use of force. While some neighbors told local media they believed the officers were protecting themselves, others were angered that the deputies opened fire in a populated area. That conversation was echoed and amplified across Twitter and Facebook, where the hashtag #JusticeForKameron quickly spread. “We are praying for Kameron’s family and community,” said The King Center in an online statement. “A question for our nation as we continue a critical conversation and work: Where does police reform start? How should communities engage?” A GoFundMe page set up by the boy’s aunt raised close to $20,000 for funeral expenses. 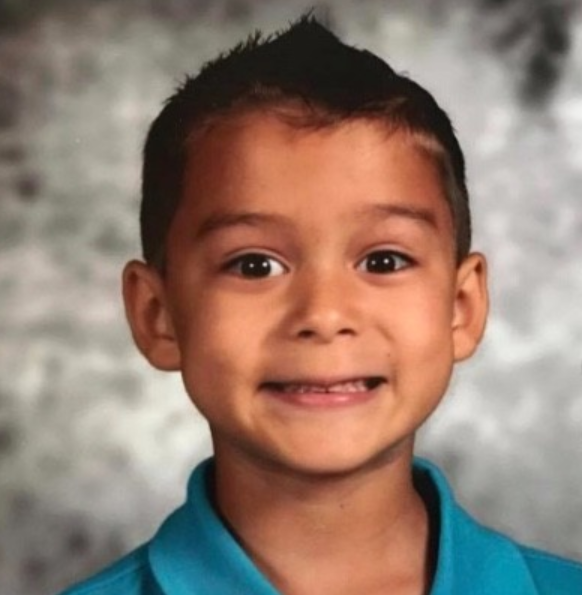 “Kameron was the kindest-hearted little boy that I have ever had the pleasure of teaching,” Shanda Ince, the boy’s first-grade teacher, said in a statement. “Kameron loved his family and they loved him,” it reads.